"After our first ever 1st place and best result at a Millennium ever, we couldn't have done this without the support of the teams main sponsors, UK Masters, Dye Paintball UK, BZ Paintball Supplies and Clint Moore "The Art of Winning" Pro clinics. The combination of all these have helped push the team forward this season, shooting the best paint Dye CG, through the best equipment the DM13, Dye rotors and wearing the best Kit Dye I4 Goggles and C13 clothing. All these have given the team the edge they needed whilst Clint Moore's "The Art of Winning" Pro training Clinics have given us the skills and we gave the commitment, a perfect winning Combination. We would also like to thank the guys behind the scenes, our sister team Durham DV8 2 and the coaching and pit crew, Graham Burns, Keith Forsyth and Dave Auton who with out there selfless dedication it would made the whole event a lot harder than it already was. Thanks to all the teams and Ref's we played and to everybody who came along and supported us at this event, we look forward to seeing you all in London"
• And still online for you to view NOW! if you haven't yet witnessed one of the most exciting professional paintball finals in recent years, you still can! Log in to your team managers account https://epbf.paintball.biz/area-visitor/login.php?league=millennium-series and select “Training” from the left side menu. A small deposit of EUR 50 per session must be paid at the time of booking, by credit card, in order for your booking to be confirmed. “After a 3rd place at the first event we knew we had it in us to do better and with the continuing support of GI Sports, Planet Eclipse, Bricketwood and John @ Lips, we hope to do just as well at our Home event. We would also like to thank all the support from Tigers 4 (special thanks to Tommy from PB Religion) and all the UK teams and fans cheering us on in Bitburg, it felt like home, what with that and the rain. "We did it again and pick up the first place at Bitburg Masters ! We are really happy about the tournament and we keep working out. Thanks to the awesome CG paint, our DM13 and the full range of dye products. Thanks to Sup'air Ball and Project K for the support, hope to see everyone in London !! Thanks to the fans, you are amazing!" Located only 15 minutes drive from Charles de Gaulle airport and 25 miles from Paris. 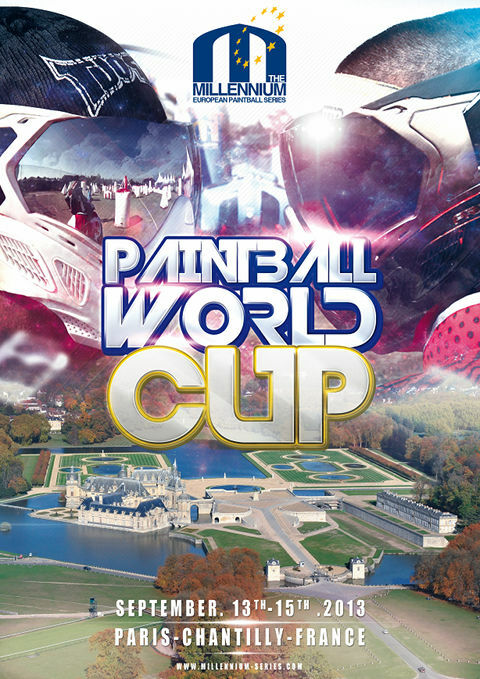 Chantilly will be the best venue ever used in paintball, a beautiful location with many attractions for all, a superb place to bring your family to and a world class place to play paintball. Enjoy France at its very best. 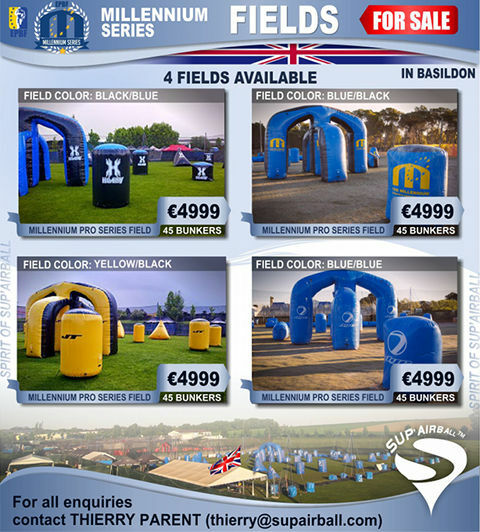 To be part of the future of Paintball visit www.millennium-series.com and register your team now!